In the 8th inning of Game 6 of the 2003 NLCS, Cubs fan Steve Bartman reached for a foul pop fly and tipped the ball away from Cubs left fielder Moises Alou, which caused anger and rage from fellow Cubs fans. 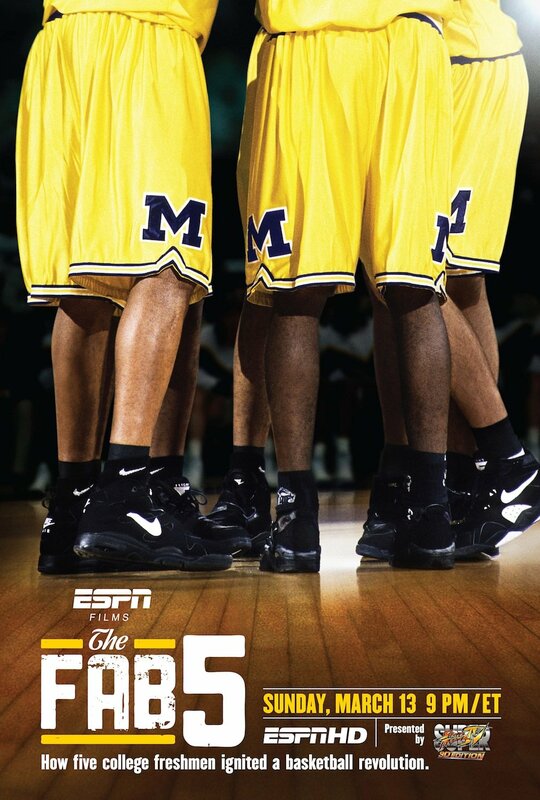 Chris Webber, Juwan Howard, Jalen Rose, Jimmy King and Ray Jackson were part of Michigan's freshman class in the 91-92 that reached the NCAA championship game in 1992 and 1993. Two years in the making, "The Art of FLIGHT" gives iconic snowboarder Travis Rice and friends the opportunity to redefine what is possible in the mountains. Experience the highs, as new tricks are landed and new zones opened, alongside the lows, where avalanches, accidents, and wrong-turns strike. The film tells the story of Renee Richard's battle to enter the 1977 US Open as the first transsexual tennis player. Simultaneously, it follows her today as she struggles to cope with a life of contradictions and personal conflict. Through interviews with tennis legends, family, friends and experts from the transsexual field; a story of perseverance, breakthrough and hardship unfolds.